There is a lot going into the ground today. 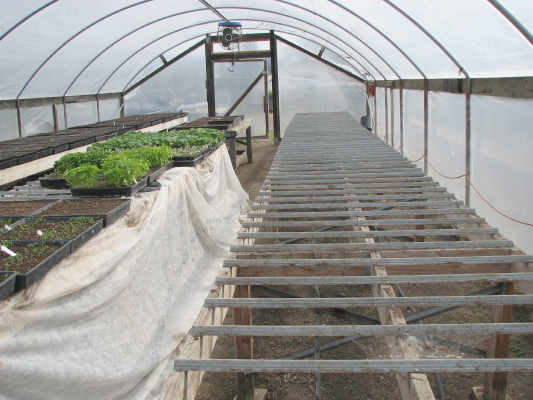 There is a greenhouse of perfect-sized plants, and prepared fields, dry enough to plant into. Plus, it is a dry day before predicted rain! Seeing the opening, last night, Paul quickly made a planting map … the day’s work. 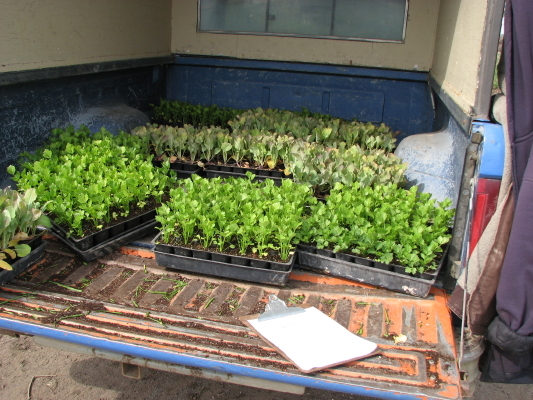 The crew will work all day, filling the blue truck’s bed with flats of plants and driving to the edge of the ready bed. 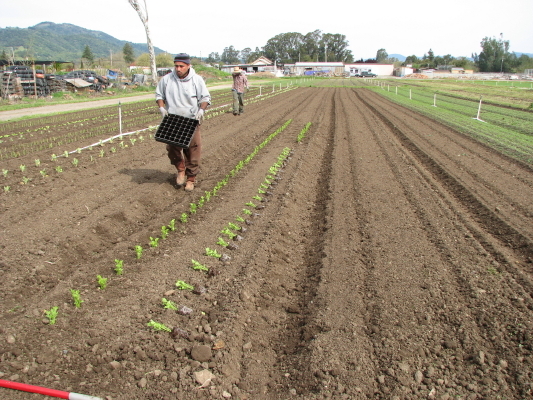 Then one worker, usually Servando, walks along the row, separating the plants from each other and the plastic flats, then as he walks along, he drops the plant in the row. 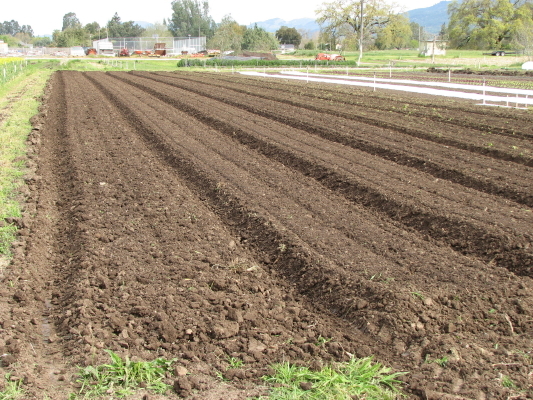 The furrows are marked with a shallow trench by a tractor mounted shovel. 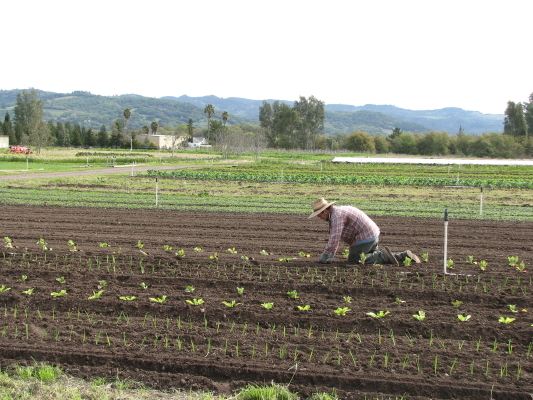 The “dropper” is followed by someone on his hands and knees, quickly scooping soil around the seedling, standing it up and pressing firmly around its stem. When the rows are finished and the water is giving them their first drink out in the field, it’s a little thrill. This planting includes broccoli, celery, fennel, leeks and onions. They were started in the greenhouse in Feb. This is the first large planting of the year. There is room in the greenhouse for more flats to be started. It feels like the real start of the year. 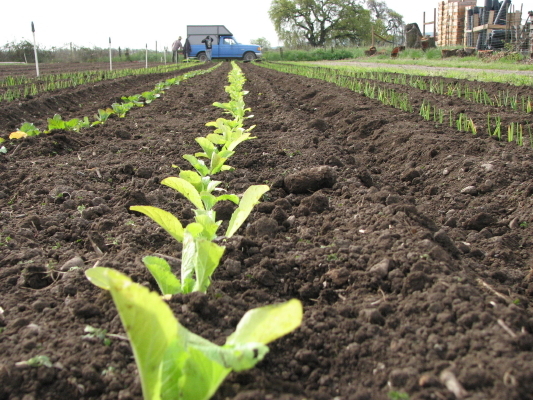 The first crop ready to harvest will be Napa cabbage in about 6 weeks, toward the end of May. Celery, leeks and fennel need 80 days before you’ll see them on the farmers’ market stand. Some of the onions need 100 days. 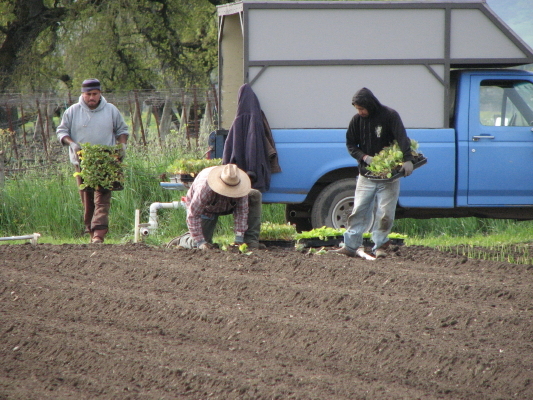 This entry was posted on Monday, April 9th, 2012 at 9:32 pm	and tagged with broccoli, farming, greenhouse, planting, rain, Soils and posted in Uncategorized. You can follow any responses to this entry through the RSS 2.0 feed. Beautiful! Makes me feel like making a salad. Green, green, green.